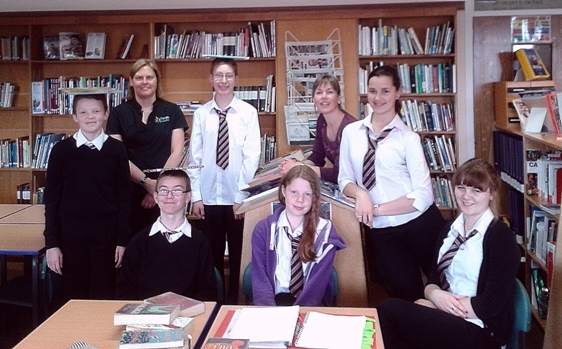 At Kingussie, we have an enthusiastic team of pupils who are Library Interns. They all commit to a minimum of half an hour per week helping with a variety of tasks and several of them give more time than that. We are always delighted to have more Interns, so if you would like to join, pick up an application form at the Library Desk, fill it in and return it, and you will be given an interview time. There’s a very good chance you’ll be given the job! All your time as an Intern can be counted towards a Saltire Volunteering Award. Library staff will help you to create your own Saltire account and log your hours.